Uber paved the way for Hailo in Boston when city officials cleared the way for similar apps, but it will need to go it alone in New York City now that Uber has retreated from the market. It was hardly a closely-guarded secret, but Hailo, the taxi-booking app that has already taken London by storm, officially lands in the US of A today starting with Boston, almost a year since it first launched in the UK capital. 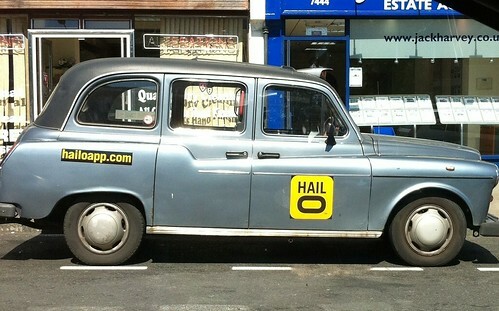 Hailo has a successful track record with services in London, Dublin and Toronto. How will it fare in the US? Photo by Clive Darra. When you download Hailo, you see the real‐time location of the closest cabbies, including how many minutes away they are, and a couple of taps on your screen will beckon the closest one using the wonders of GPS. But fresh from its whopping $17m funding round earlier this year, Hailo has been beavering away in the background as it gears up (pardon the pun) for the big US launch, finding the time in between to launch in Dublin (July) and then Toronto in September.